Shani T. Godwin is the President and Chief Executive Officer of Communiqué USA, Inc. For more than 20 years she’s helped companies and organizations achieve marketing success. As a visionary leader and talented communicator, she has the innate ability to see the big picture and lead flawless execution for clients. Born out of her passion for writing and communications, Shani launched Communiqué USA in 2002. The foundation of Communiqué is based on Shani’s previous experiences as a marketing and advertising executive. 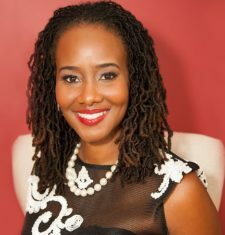 Prior to launching Communiqué, Shani developed programs for Fortune 500 companies, including BellSouth Telecommunications, Inc., Chick-fil-A, Inc. and advertising firm J. Walter Thompson. In the midst of the ever-changing world of marketing, she saw a unique opportunity to better support overworked and understaffed corporate communications teams. By providing marketing staffing and project management services to busy professionals, she could help them reach their business goals more efficiently and effectively with the right marketing talent. Under Shani’s leadership, Communiqué has developed a solid reputation as a firm that can get the job done on point, on time and on budget. Her commitment to personalized service, forward-thinking ideas and strategic counsel is evident in the results she and her team have generated for an impressive roster of clients, including Chick-fil-A, Inc., Communicorp, Party City of Atlanta, Inc., Georgia Power and Safeco Insurance Companies. A lifelong learner, Shani has participated in a variety of business and civic programs, including Leadership Atlanta and Dartmouth University’s Tuck School of Business High Performing Minority Business. Goldman Sach’s 10,000 Small Business Program. She is also an entrepreneurship and leadership advocate, lending her expertise to organizations looking to grow and scale their firms. Additionally, she is actively involved in several local economic development initiatives. In addition to creating Communiqué USA, Shani is also the founder of Audible Voices, LLC, where she blogs, writes and inspires others to “find their voice.” Her first book, The Love Project: 365 Ways to Love Yourself and Get the Love You Deserve on bookshelves in 2017 right before the launch of her podcast Joy Economics: Creating Better Ways to Live. Work. Play. Born or raised in Atlanta, GA, Shani graduated from Hampton University with a Bachelor of Arts in Mass Communications/Advertising. She continued her studies at Mercer University, gaining a Master of Business Administration in Marketing. When she’s not assisting overworked and understaffed marketing professionals or penning her next book, Shani enjoys reading, spending time with loved ones and her furry companion London Synclaire.